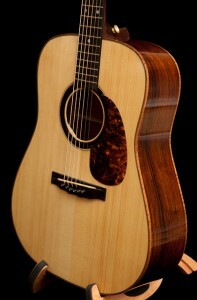 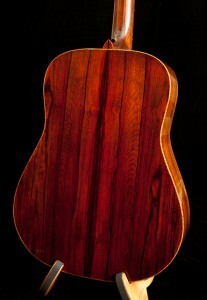 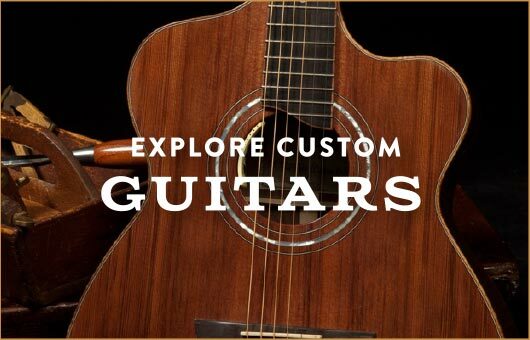 New Cocobolo Guitar – a gem of a dreadnought! Ever since Jay built Tom Gossin’s custom guitar, a Cocobolo Dreadnought, he has been aching to build with Cocobolo again. This go-round he used Cocobolo for the back and sides, Englemann Spruce for the top, Curly Koa binding, Ebony for the fretboard and bridge and Brazilian Rosewood and Pearl for the rosette. 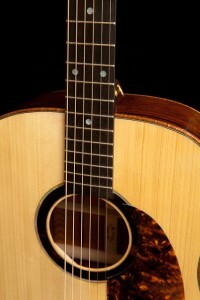 This guitar has a K&K pick-up.